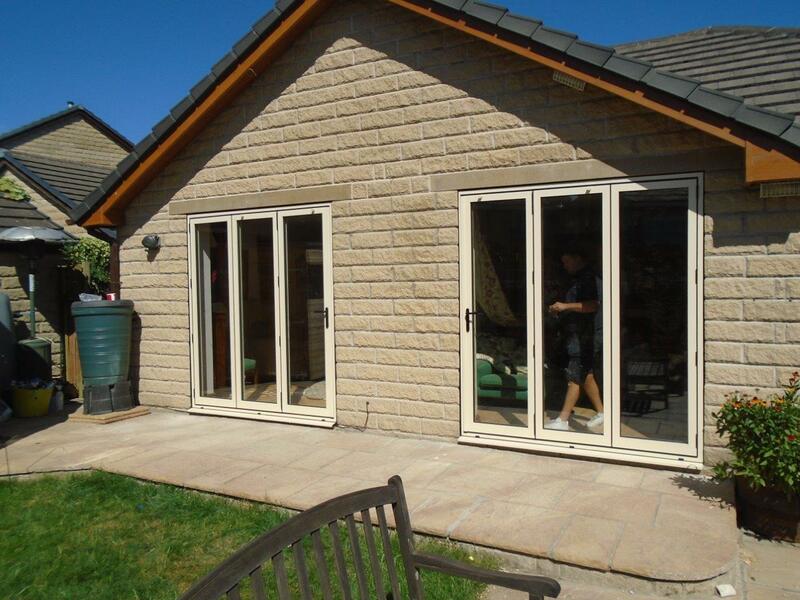 At Clear View Aluminium Doors we provide a complete end to end service. This means that from the initial phone call to delivery and installation you will only deal with Clear View. This enables us to satisfy any order within an appropriate time frame. From a single window, to a large scale commercial order we can accommodate your needs. This is what attracted a recent client to us. They heard of our reputation and ability to deliver on time and on spec. When the client called we discussed their needs and how we could help, before they decided to go ahead with their order. This was a large commercial order. 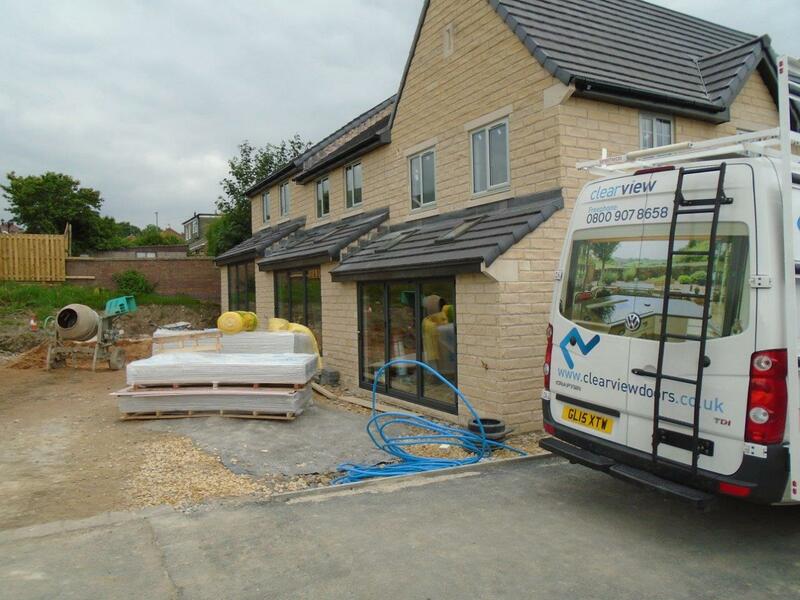 A new housing development is being built in Batley, and the developer needed 13 identical bi-folding doors. Some suppliers may struggle with this uniformity, but as Clear View uses specially trained engineers in our facility in Huddersfield it was easy to oblige. 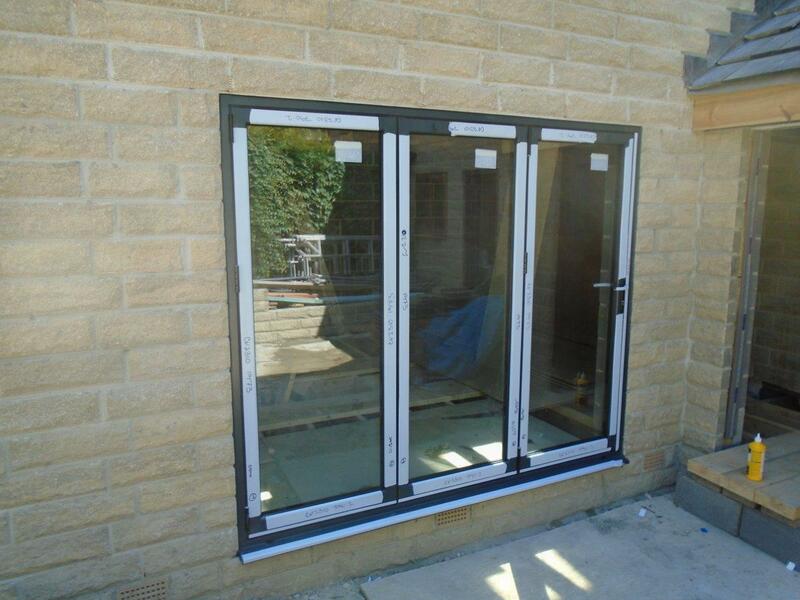 Each 3 pane bi-folding door measured 3490x2125mm and the frames were finished in matt anthracite with black hardware. The glass was 4mm thick and toughened with a 20mm argon filled cavity for increased thermal insulation. Once we had the specs it was simply a case of knuckling down and building the doors. 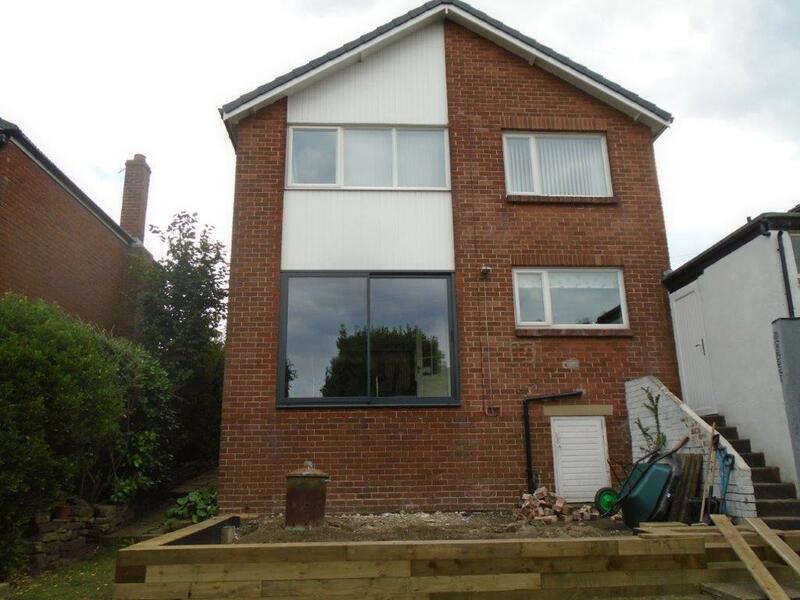 After they were completed, on time, we delivered them to the site and installed them on each of the properties. The stepped symmetry of them created a very crisp, modern appearance, and we’re sure these properties will be a pleasure to live in when they are completed. We are happy to have played our part in creating them. To find out how we can help you with your development, or home upgrades, just call us on 01484 859048.